Just east of EL Curtola OC is the 680/24 Interchange with connectors, separators, overcrossings, and undercrossings all climbing over each other. Many of my friends worked on this interchange in the 1990s as part of Caltrans engineer rotation program. These photos hardly do justice to the many soaring bridges in this interchange (I was too nervous to stop in the middle of the expressway to take a photo). Most of the bridges are cast in place prestressed concrete structures, but there was a temporary steel girder bridge that sat on isolation bearings for several years and then was picked up at the end of the project and placed on its new substructure. 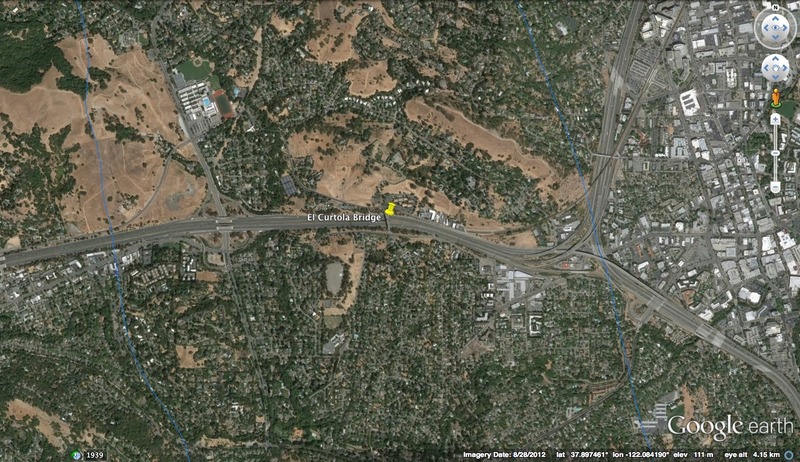 The interchange (and El Curtola OC) can be seen in the Google earth photo shown above (the blue lines are a few of the many earthquake faults in the area. The urban area east of the Interchange is the affluent city of Walnut Creek which we will be exploring over the next few days. 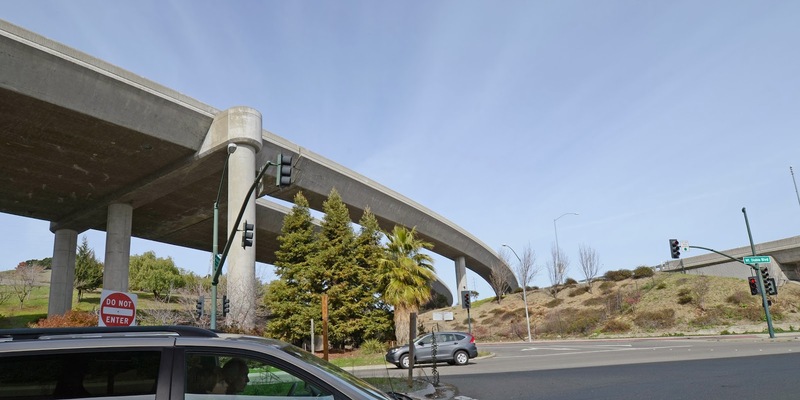 Contra Costa County, California Bridges: 680/24 Interchange in Walnut Creek by Mark Yashinsky is licensed under a Creative Commons Attribution-NonCommercial-NoDerivatives 4.0 International License.